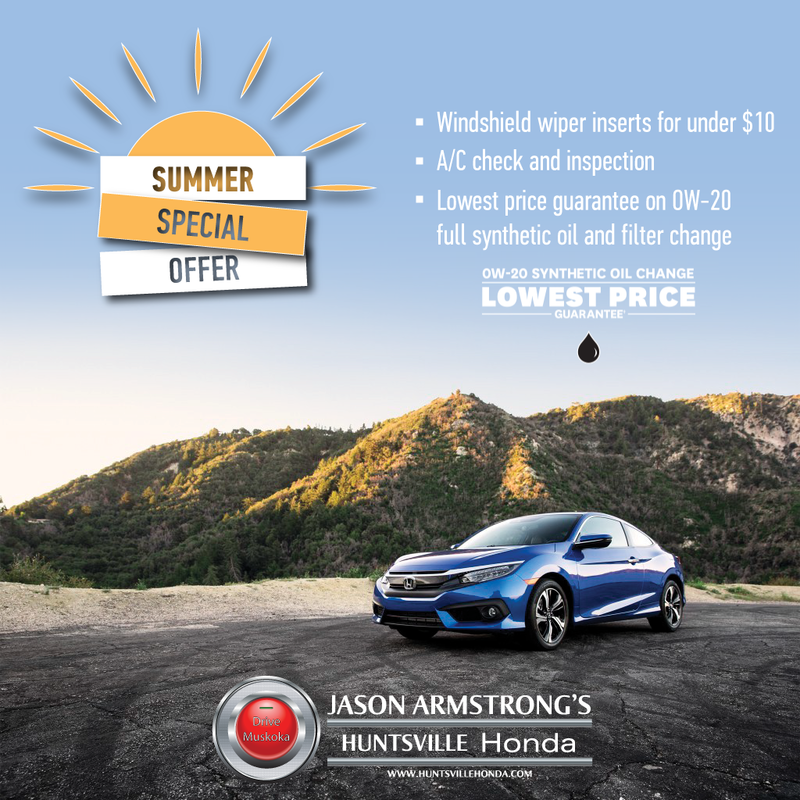 Jason Armstrong’s Huntsville Honda makes vehicle maintenance and service easy with our discounts on detailing, oil change coupons, and regular service and repair deals. We have the best deals on mechanic services in the Huntsville and Muskoka region including Bracebridge and Burks Falls. Check back here for great sales and coupons on all of your essential services and take advantage of our everyday great prices. Book your next service appointment online right now! Offer ends August 31, 2018.